Biographical preaching draws illustrations and moral examples from lives recorded in the Bible. These truths may be demonstrated by both negative and positive cases, and Paul Pierpoint is a past master of the genre. 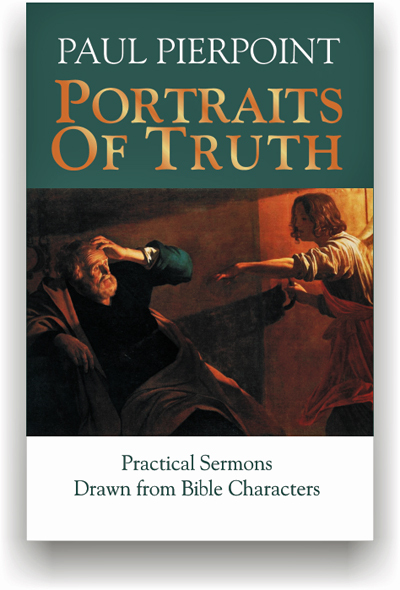 Portraits of Truth: Practical Sermons Drawn from Bible Characters includes stories of heroism, failure and recovery. Some are bleak, others shine with the glory of God’s grace, and all point the way to a life of happiness and blessing. Inspired by the pulpit practices of Charles Spurgeon, D.L. Moody, T.W. Talmage, F.B. Meyer, Clovis Chappell and others, here is a volume of seven bible heroes and villains. A format utilizing topical heads, subheads and bullets makes these equally easy for platform use and devotional reading.